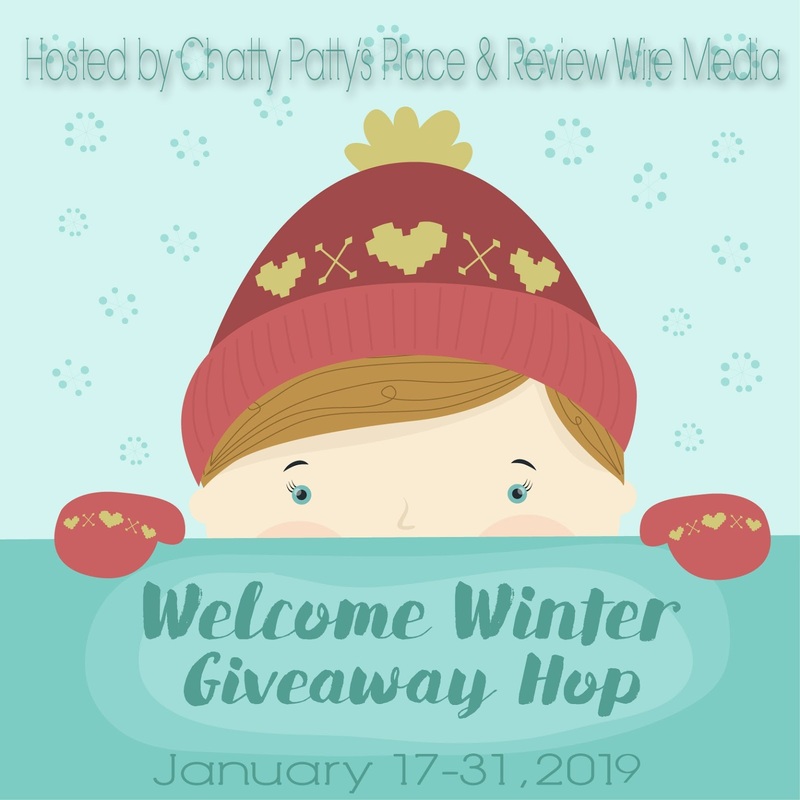 I’m pleased to be taking part in the Welcome Winter Giveaway Hop this year. It’s your chance to enter to win a bunch of prizes from many other bloggers. Review Wire Media and Chatty Patty’s Place will be hosting the Welcome Winter Giveaway Hop which will run from January 17th-January 31st. Visit all of the blogs in the linky to get your chance to win an amazing prize worth at least $10.00 from each of the bloggers. I love the winter months! It is the perfect time to relax and curl up with a good book or two! I just don't like that winter seems to come later for us in KY each year. We were still in the '60s in December!!! On one hand, I enjoy the extra time outside, but I really want SNOW!!! As you know I am mainly a book blogger so check out some reviews and don't forget to check out my Giveaway tab, there are so many awesome books and Amazon giveaways I can hardly post them fast enough.! Enter my Giveaway to win a $20 Amazon eGift Card! I am excited to run a marathon in 2019! I'm excited about traveling more. I am most excited about going to Long Island this Spring. I am excited for the new memories. I'm excited for my daughter to graduate. I'm excited for my daughter's dance competition coming up! I am most excited for my granddaughter to be born. I'm most excited for the birth of my newest grandson in 2019! Looking forward to the birth this May of a new grandchild...it's a girl! I'm excited to spend more time with my friends and family. I am most excited to watch my daughters play soccer and to get myself in shape. Thanks so very much for the chance! I am most excited to move into a new home. I'm most excited for warmer weather. I do not do well with my disability in cold weather. I'm most excited for another year of great books! I'm excited to be going on an Alaskan Cruise with my husband in the Summer. my husband finding a permanent job! I am looking forward to becoming a grandma again in 2019. I am excited about travels to new places. I'm excited for a trip to Santa Fe. I am excited for a happy year! We are excited about retiring this spring....can't wait!!! One of the things I am excited for this new year is an upcoming cruise in April. I'm most excited for a happy year. I am excited to do some traveling in 2019. I am excited to maybe finally get our own place instead of renting. I'm most excited about being recently retired. I plan to do some things this year that I never had time to do before. I'm very excited to go traveling with my husband in 2019. I am excited and looking forward to getting my kitchen and bedroom remodeled this year. I am excited to go to Key West next month. I am most excited about my cousin's wedding next month! I'm excited for a new book that's coming out: King of Scars! I live a quiet life lol. I'm excited for all the great movies coming out this year! Like four new Marvel movies, plus Detective Pikachu...it should be amazing! I am looking forward to spending time with my family and our pug. Just another year.I hope things go well for me and my family. Enjoying life and being able to celebrate the big and the small things with family and friends. Becoming an aunt for the first time! I am excited to spend more time with my grandson this year. I am most excited about a new grand baby due in the summer of 2019! Our middle child is getting married later in the year. I am most excited for some good things happening to my husband's health. He is going to be getting approved for some good medical things to help him. I'm excited because I'll be visiting my parents this summer. I have a new grandbaby on the way this summer.